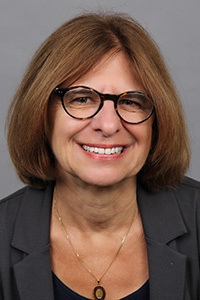 H. Leslie Steeves oversees academic programs at the School of Journalism and Communication. Much of Steeves’ research centers on two areas and their intersection: communication and information technologies in developing countries, particularly in sub-Saharan Africa, and gender and communication. She has published three books and many articles in these areas. Her present work also examines entertainment and tourism representations of Africa. She has had two Fulbright grants for teaching and research in Kenya and Ghana, and she directs an annual study-abroad program in Ghana. “Africa, Media, and Globalization.” Guest editor of special issue of Communication, Culture & Critique, 9(1), in press. “Cartographies of Communication & Critique: Forging a Dialogue on Africa, Media and Globalization.” Communication, Culture & Critique, 9(1), in press. Communication for Development: Theory and Practice for Empowerment and Social Justice, Third Edition. Co-authored with Srinivas Melkote, New Delhi, Sage, 2015. “Give a Laptop, Change the World: The Story of the OLPC in Ghana.” (2014). Video. “Discovery Channel’s Jungle Gold in Ghana: Hegemonic Globalization Sparks Resistance and Policy Change.” Co-authored with Senyo Ofori-Parku. Media, Culture & Society, in press. “The place and role of development communication in directed social change: A review of the field.” (2015). Co-authored with Srinivas Melkote. Journal of Multicultural Discourses, DOI: 10.1080/17447143.2015.1050030. “Intercultural Dialogue Through Immersive Learning: Media Internships in Ghana, West Africa.” (2014). Co-authored with Ed Madison. In Global Citizenship in a Digital World, MILID Yearbook 2014. Ed by Sherri Hope Culver and Paulette Kerr. Nordicom, pp. 215-226. “Rejecting erasure tropes of Africa: The Amazing Race episodes in Ghana counter postcolonial critiques.” (2012). Co-authored with Matthew Muspratt, Communication, Culture and Critique, 5(4): 533-540. “ICT4D, Gender Divides, and Development: The Case of Ghana.” (2012). Co-authored with Janet D. Kwami. In Melkote, S., Ed., Development communication in directed social change: A reappraisal of theories and approaches. Asian Media Information and Communication Centre (AMIC), pp. 199-217. “Toward a ‘Macro-Micro’ Analysis of Gender, Power and ICTs: A Response to Micky Lee’s Feminist Political Economic Critique of the Human Development Approach to New ICTs.” (2011). Co-authored with Janet D. Kwami and Brenna Wolf-Monteiro. International Communication Gazette. “The Amazing Race in Burkina Faso.” (2010). In Herman Wasserman, ed., Taking it to the Streets: Popular Media, Democracy and Development in Africa, Routledge. “Feminism in the Post-Development Age.” 2009). Co-authored with Luz Estella Porras. In Thomas McPhail, Ed., Development Communication: Reframing the Role of the Media. Oxford, UK: Wiley-Blackwell, pp. 141-158. “Commodifying Africa on U.S. Network Reality Television.” (2008). Communication, Culture & Critique, 1: 416-446. “Gender and Development” (2008), and “Development and Spirituality” (2010). Entries in the Blackwell Encyclopedia of Communication.